Studies have examined relationships between suicidality and problem gambling and suicidality and Axis I psychiatric disorders. However, questions remain regarding how suicidality may influence relationships between problem-gambling severity and Axis I disorders. Using a sample of 13,543 participants with mood symptomatology from Wave 1 of the National Epidemiologic Survey of Alcohol and Related Conditions study (NESARC), we examined the relationship between different levels of problem-gambling severity and DSM-IV Axis I psychiatric disorders according to suicidality level. 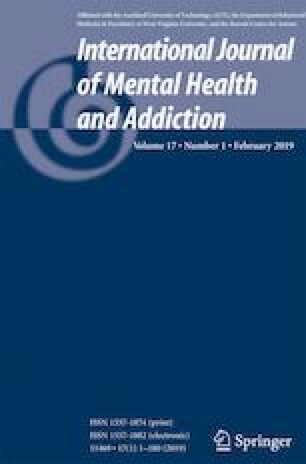 Bivariate analyses were conducted to examine the association between problem-gambling severity, sociodemographic characteristics, and presence or absence of past-year Axis I disorders according to suicidality status. Next, a series of adjusted logistic regression analyses evaluated the relationships between problem-gambling severity and psychopathology according to suicidality level. The relationships between Axis I psychiatric disorders and problem-gambling severity were largely not moderated by suicidal ideation or attempt. A possible exception was observed with panic disorder in which a stronger relationship was observed in the relationship between low-risk gambling (vs low-frequency/non-gambling) in the group with suicide attempts as compared with that without attempt or ideation, suggesting the importance of considering subsyndromal gambling behaviors, particularly among individuals with panic disorder and suicidal tendencies. The authors would like to communicate their gratitude to Corey Glenn, Ph.D. for her assistance with statistical data analysis. No financial support was received for data collection for this study. Dr. Ronzitti currently receives support as a VA advanced medical informatics postdoctoral fellow funded through VA Office of Academic Affiliations. Dr. Potenza’s involvement was supported through the National Center for Responsible Gaming Center of Excellence grant. Dr. Kraus’ involvement was supported by the VISN 1 New England MIRECC. The views presented in this manuscript are those of the authors and do not necessarily reflect those of the funding agencies. Drs. Ronzitti, Kraus, Hoff, Clerici, and Potenza declare no conflicts of interest with respect to the content of this manuscript. Dr. Potenza has consulted for and advised Rivermend Health, Opiant/Lightlake Therapeutics, and Jazz Pharmaceuticals; received research support (to Yale) from the Mohegan Sun Casino and the National Center for Responsible Gaming; and consulted for legal and gambling entities on issues related to impulse-control disorders and addictions. The other authors report no disclosures.